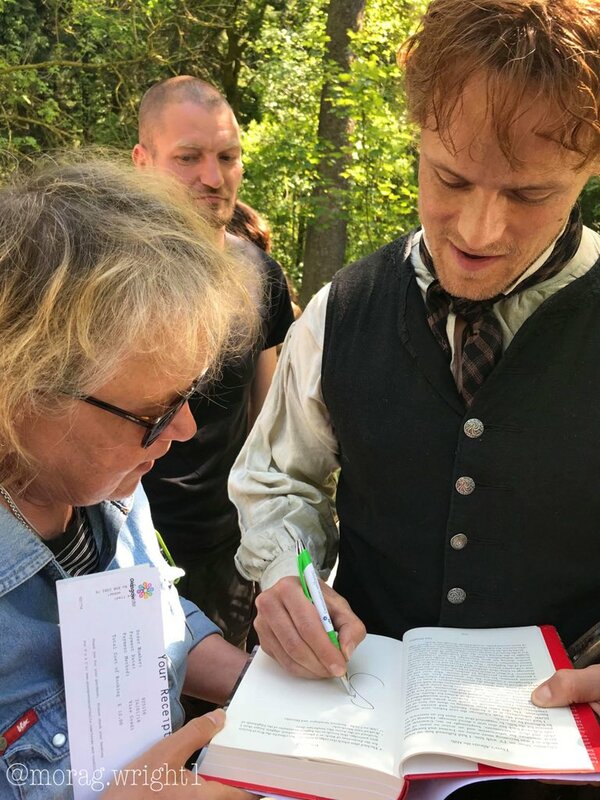 Here are some new pics of Sam Heughan, Caitriona Balfe, John Bell and Rollow with fans on the set of Outlander yesterday. What a beautiful collage!!! Such lucky fans! All the photos above are precious! Sam’s, Caitriona’s and John Bell’s smiles just shine! Sam and Caitriona are so good with their fans – they always take time to meet and greet them. John Bell (Young Ian) looks like he is having the best time of his life – just radiates enthusiasm. Our other star – Rollo seems to be taking it all in and having a good time too. Thanks for sharing these pictures with us. Those were very lucky fans!